Walking in the front doors to the Tripcony May offices you will see it written on the door, “It Does Matter Whether You Win or Lose.” And while it is true that divorce is often a traumatizing life event in which no party actually wins, an area of divorce where this motto is particularly relevant is in cases involving substantial assets. In this two part post, we will discuss property distribution and the various issues related thereto. 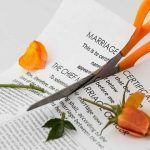 There are two types of property that are dealt with during a divorce. These are marital property and non-marital property. A quick look at the Arkansas Code is helpful in defining these terms. (1) Property acquired as a gift or by inheritance. (2) Property acquired by the trading of property acquired prior to the marriage, as a gift, or by inheritance. (4) Property the parties agree is not marital. (5) The increase in value of property described above. (6) Certain worker’s compensation, personal injury claim, or social security disability funds. (7) Income from property described above. Age, health, and station in life of the parties. Amount and sources of income. Estate, liabilities, and needs of each party and earning potential. Contributions in acquisition, preservation, or appreciation of marital property, including services as a homemaker. Id. More importantly, the court can even determine, using the above factors, that it is not equitable to return each party’s non-marital property to them at the time of the divorce! In additions to an unequal, but equitable, distribution of assets, spousal support, or alimony, may come into play. It is easy to see how you can lose a case involving high assets if you and your attorney are not prepared to be both proactive and responsive in regards to these issues. To begin with, you should give serious consideration to not just whether to hire an attorney, but which attorney you should hire. This is an area of law where meticulous attention to detail and powers of persuasion come in handy. The trial judge will have wide latitude in the distribution of assets and if your attorney can present a good argument based on the above statutes, your chances of drawing the short straw go down dramatically. This doesn’t mean that you will end up with a windfall, but it does prevent the other side from ending up with that windfall. The next post will discuss some particular issues, such as reclassification of pre-martial assets as marital and how courts handle the increase in value of premarital assets during the marriage. As always, this post is not meant to be, and should not be construed to be legal advice or a replacement for the counsel of an attorney. *For a discussion of the discovery process see the last post.